Checking the pH of our pickling liquid was low enough to be safe. The steam looked cool as the pressure cooker was venting. 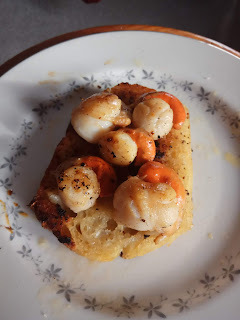 Sticking with the fish theme, for afternoon tea we had Peruvian scallops on no knead bread. 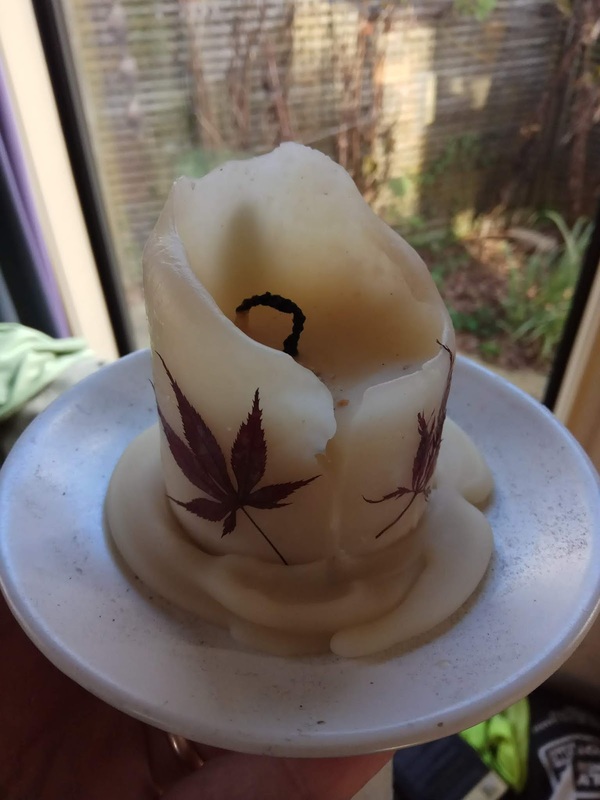 In between times, I played around with learning how to attach dried leaves onto candles - then enjoyed watching my practise candle burn through the evening.